Bring out the carols, tinsel, ribbon and peppermint patties, the Holidays are fast approaching! The malls are putting up their Santa sets, the Coke commercials are out (is it just me, or do they make you cry too? 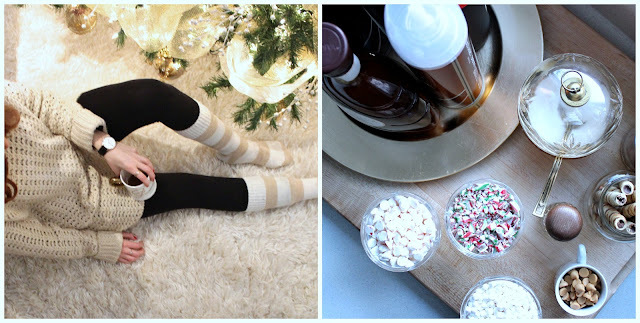 ), and the Holiday gift guides are about to begin. I just love this time of year! To get you in the spirit for all things naughty and nice I have rounded up some of my most loved Holiday themed content on Pastels & Pastries. 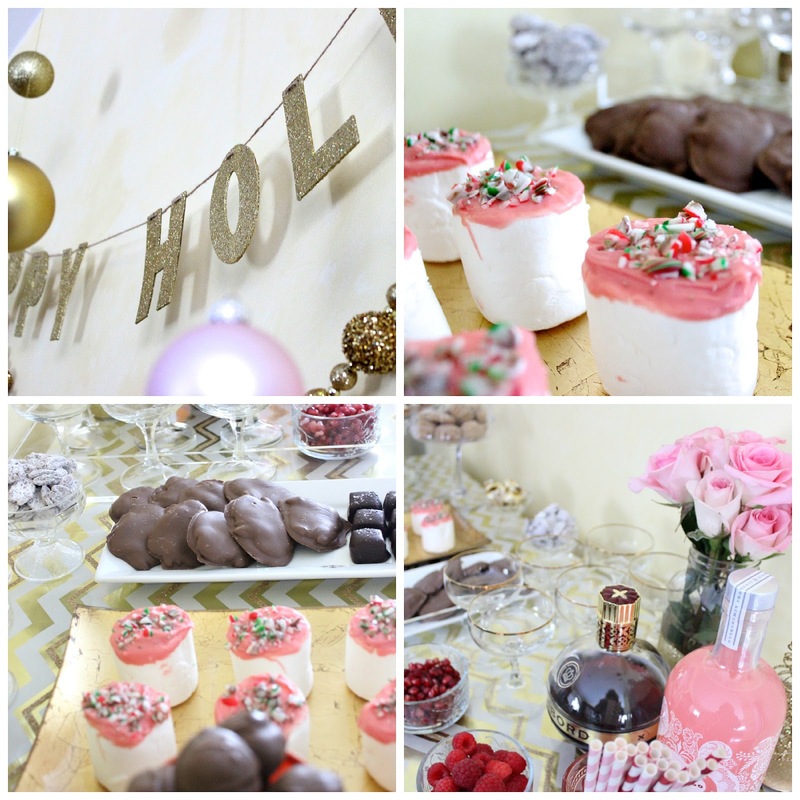 To start I wanted to flash back to my pink and gold Glitzmas Girls Christmas Party I threw last year. My best gift friends came over, we ate, drink and indulged in the sweetest treats from probably my most favourite dessert buffet I've ever put together. It was complete with my go-to Holiday sweets, such as peanut butter balls (do you guys want the recipe for these?! ), ginger molasses cookies and homemade turtles. See the full post here. At the Glitzmas Party I also set up a sugar cookie decorating station. It was a huge hit. I made the cookies and icing in advance, whipped up some snacks and we went to town. The girls took home their cookies at the end of the night as a party favour. Check it out here. This tree is still the epitome of Christmas sparkle. Can't wait to get all cozy and sit under it once again. 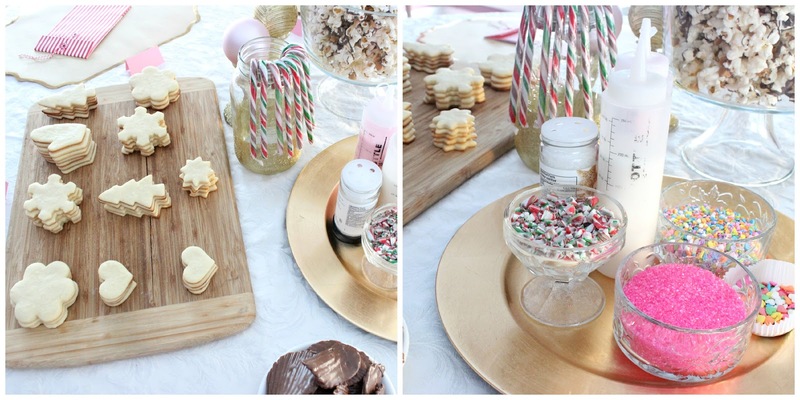 No Christmas Party is complete without a spiked hot chocolate bar with vodka infused whipped cream, right? See how I set up this station at the Glitzmas Party. Wrapping presents is something I take pride in. Last year I wanted to go the less traditional route, with funky colours and DIY present toppers. I can't wait to continue this tradition. 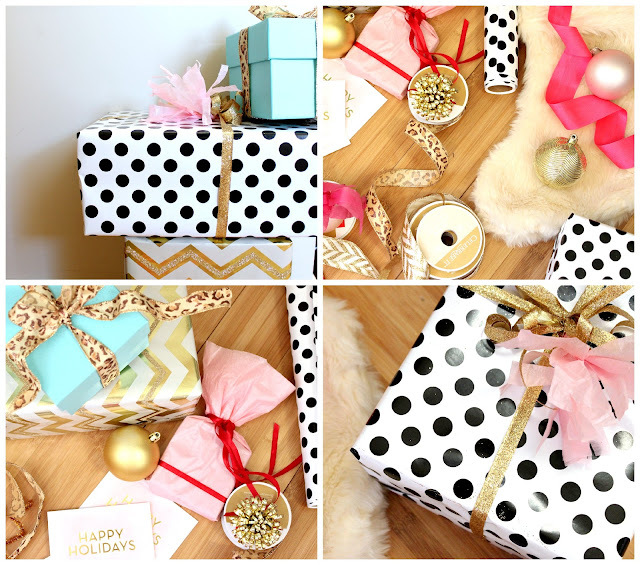 Check out my tips for a gift wrapping party here. 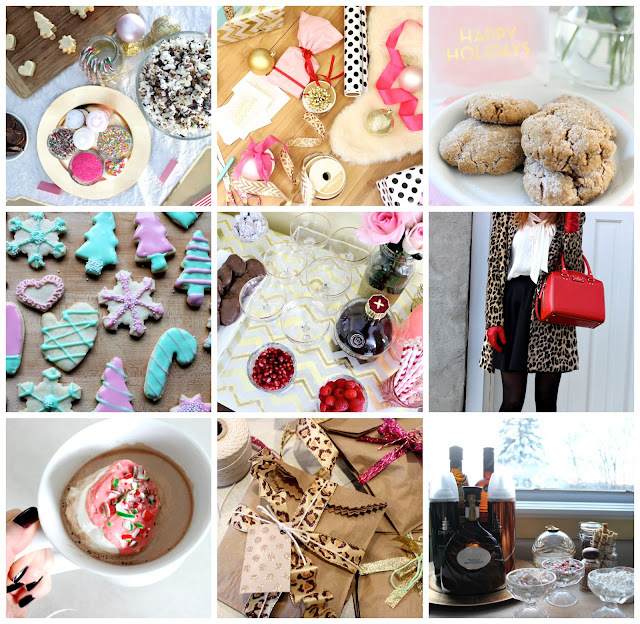 Is there anything you want to see on the blog this Holiday season? Let me know! I absolutely love each and every one of these posts - and your gift wrapping skills are serious goals of mine. Thank you girly! Hope to add some sparkle to your Holiday season! The season is far too short and doing it up like this makes it so much more exciting and memorable! 🌲Amazing! A lot of kids enjoy playing in the sand. They always like to dig in the sand and play their toys in there. A party with a shovel and pail theme is really perfect for your kids if they love digging the sand in the beach. As per corporate holiday party ideas you just need to provide them with sand boxes and sand toys.